I’ve decided to follow up with making this a series and updating this as we go. 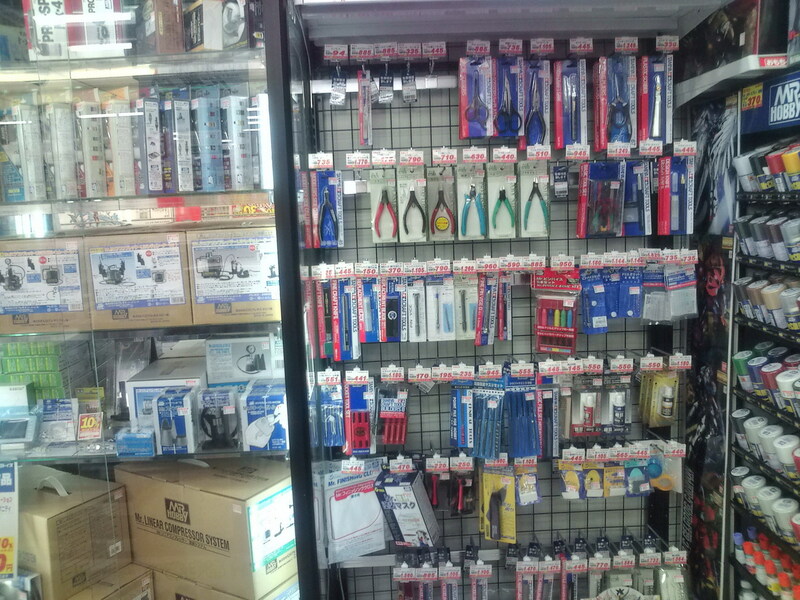 Today I stopped by Bic Camera Shin-Yokohama, and took a few photos to give you an idea of what to expect. Again, these are from the cell phone, so the quality may not be the best. 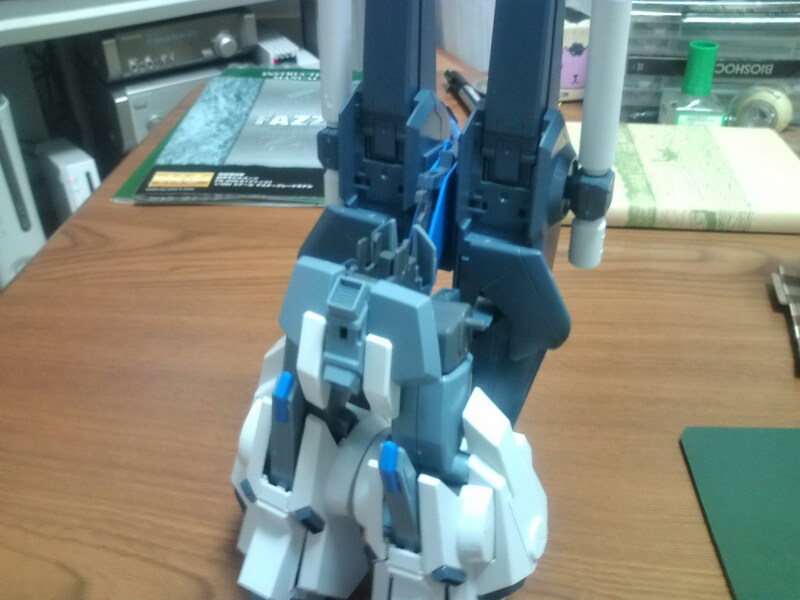 Hopefully I’ll be able to stop by Yodobashi this weekend. Suprisingly enough, this Bic didn’t have the new Action Bases for Unicorn and Sinaju, so I’ll check Yodobashi if I get the chance. 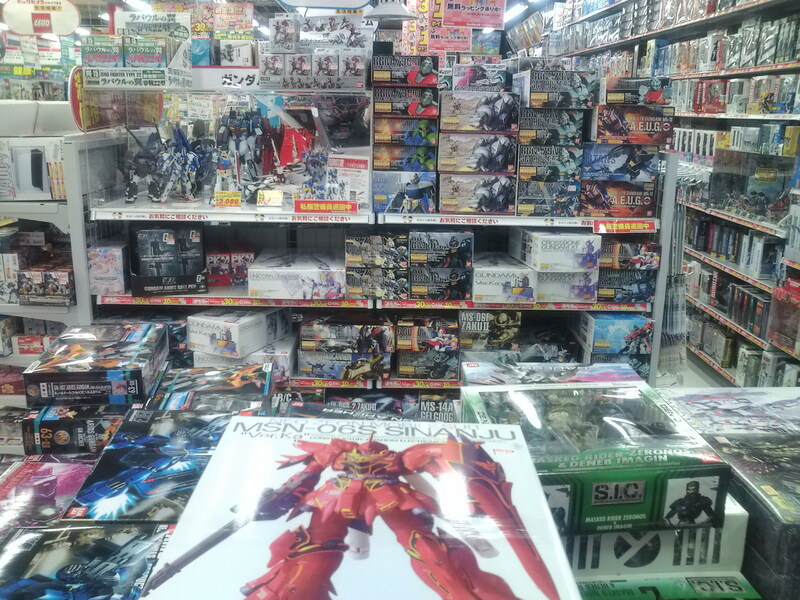 Posted in Gundam, Japan, Shopping. 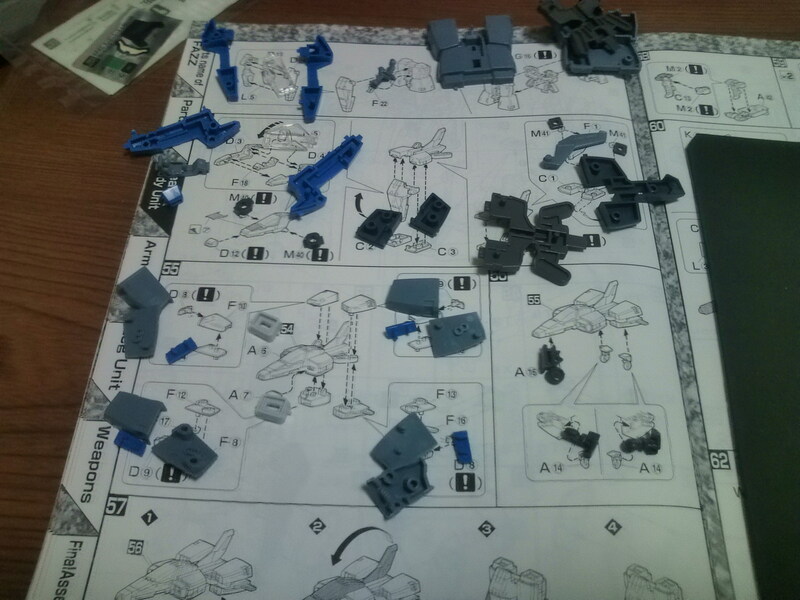 Having seen Knolly’s guide at Unfit to be a Gunpla Meister! 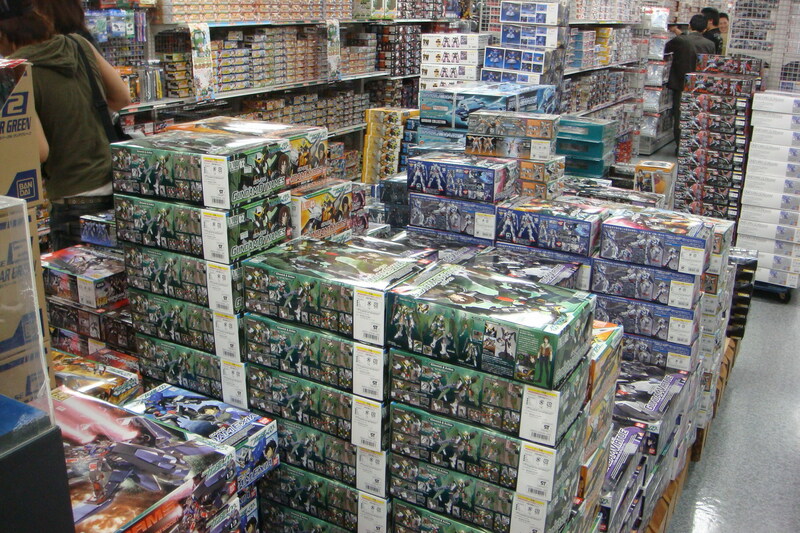 about ordering Gunpla from the states, I thought I’d chime in with a simple guide of where to pick up and not pick up Gunpla in Japan. First off, if you’re wanting to walk in and pick up the new release at the cheapest prices, hands down Yodabashi Camera or Bic Camera, the Japanese electronic department stores are the place to go. 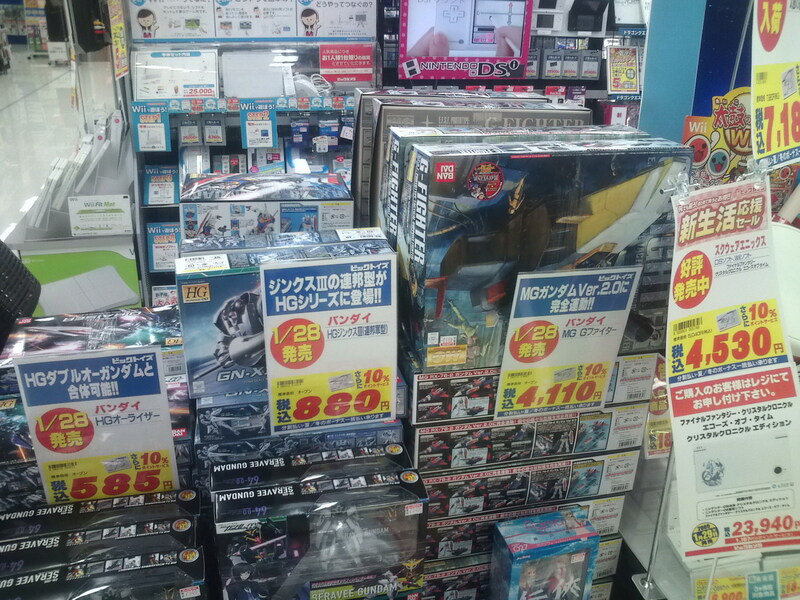 Both Bic Camera and Yodobashi Camera sell models at 30% off, and you’d be hard pressed to find any other stores that would sell Gunpla for less. 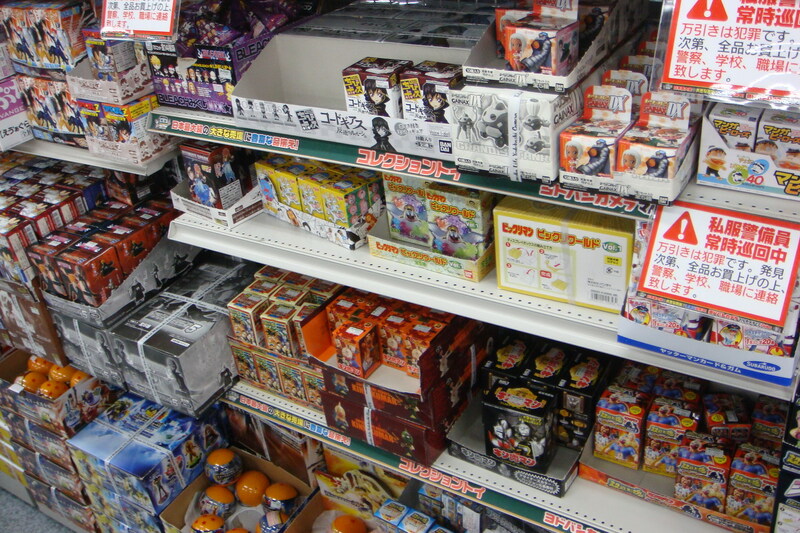 In fact, as much as everyone loves Akihabara, the truth is you have to do some hard searching to find good deals. Both Yodobashi and Bic have good and bad points. First off they both have point programs, so you get 10% points on whatever you buy which you can turn around to use as a discount on your next purchase. I actually used points to pick up the new Zeta HD version for free the other day. 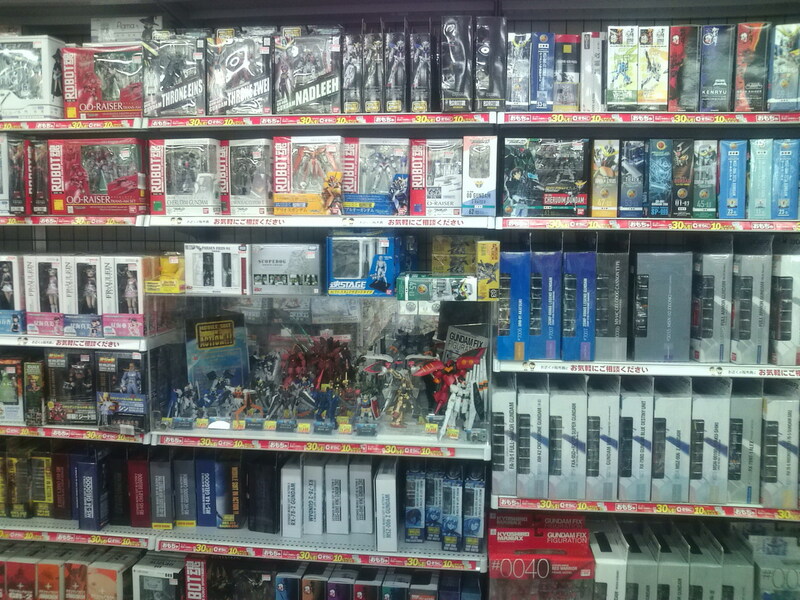 Otherwise, major differences are that Bic Camera in general doesn’t have as much Gunpla stock as Yodobashi does, and tends to have less of the anime/otaku/gacha/collector stuff like Yodobashi does. 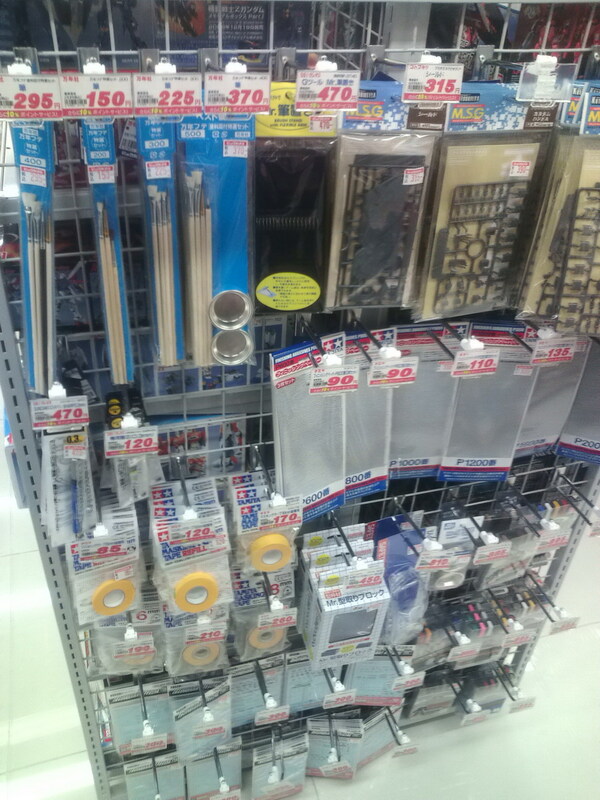 On the other hand while both Yodobashi and Bic sell Gunpla at 30% off, Bic actually sells tools cheaper than Yodobashi, again on the other hand Yodobashi has more selection. I’ve also occasionally seen Yodobashi offering sales on certain models. 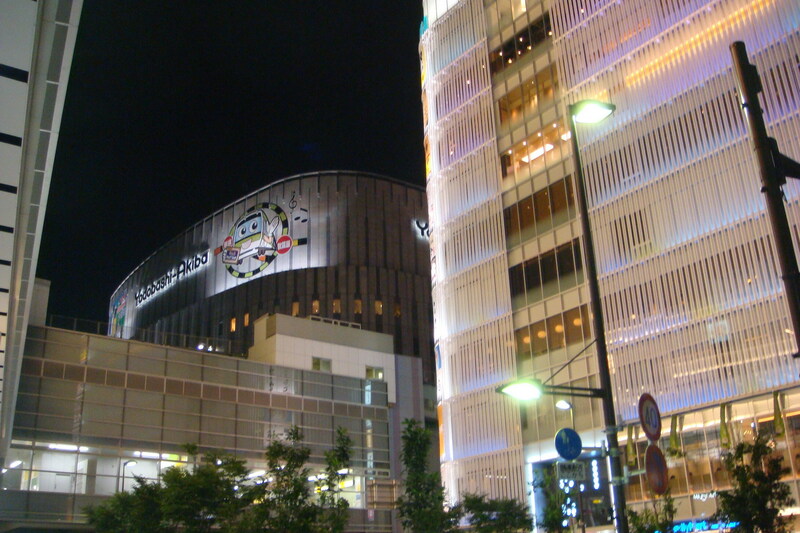 Both Bic and Yodobashi have several stores around the Tokyo area, as well in major cities like Osaka and Nagoya. 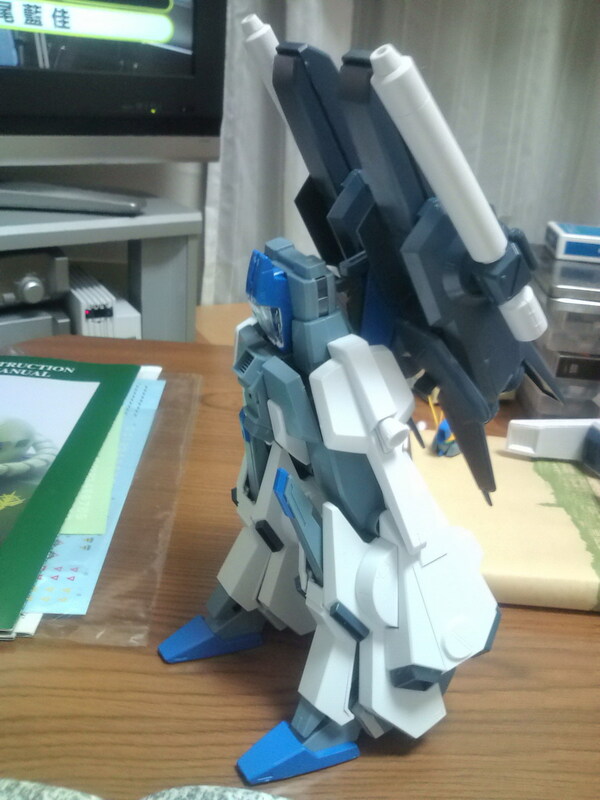 If you’re looking for even cheaper Gunpla, then you might be better off looking online at auction sites such Yahoo Auctions, where depending on the seller, you may be able to get Gunpla at half off or more, and can combine shipping as well. 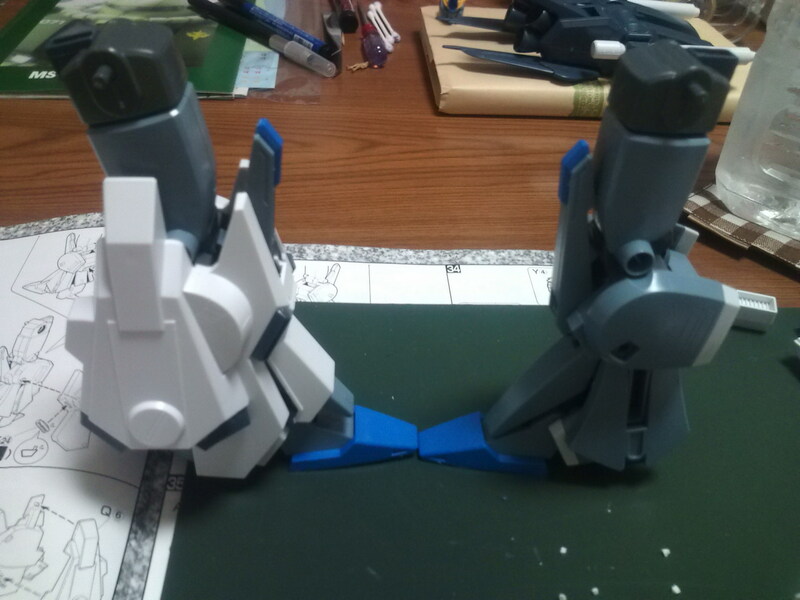 I picked up about 90% of my kits this way, and have saved about a lot of money. I don’t think the misses would forgive me otherwise! 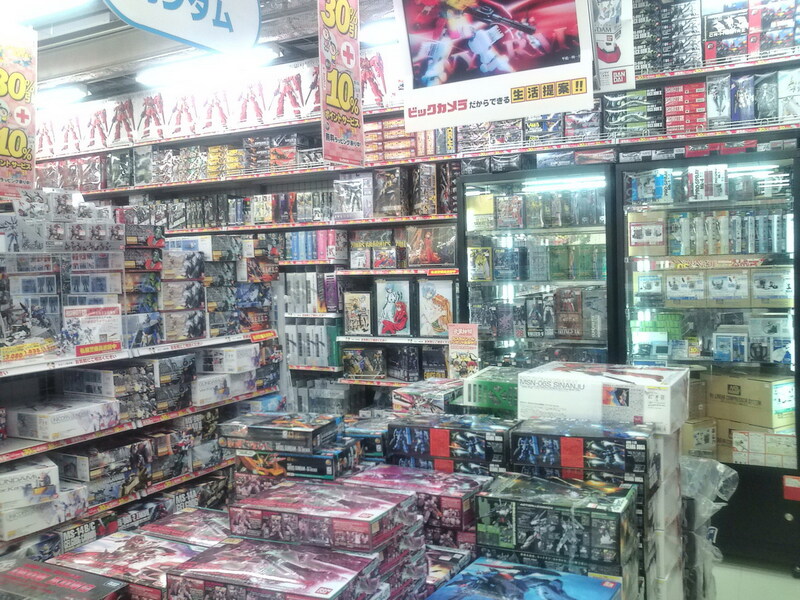 Lastly, while not really cheap, a place to check out is Gundam’s in Osaka, which is a licensed store by Bandai that is everything Gundam. They even have Gundam cookies and gifts you can bring back for family and friends! I’ll try and update this should I find new and interesting stores or sites. 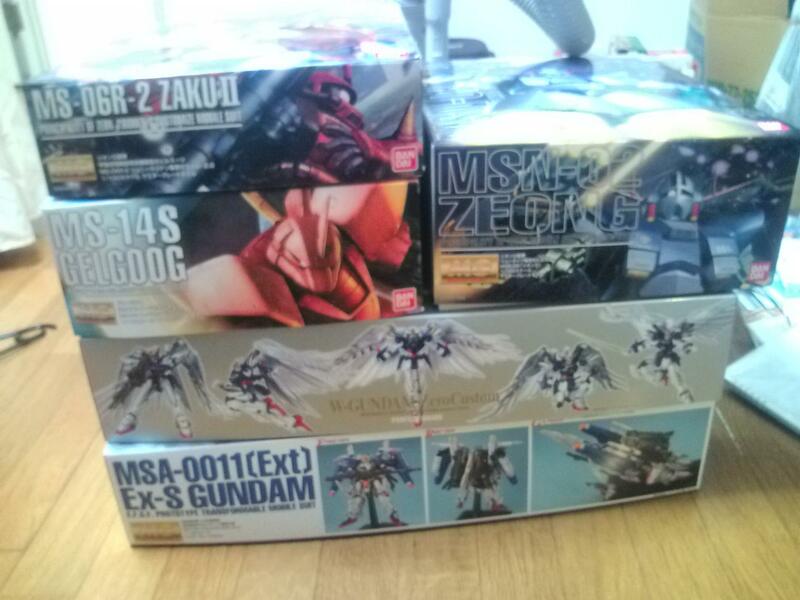 As I mentioned the other day, I managed to snag yet more Gunpla for the backlog, picking up these 5 for about 60~70% off. Of course, now I need to find time and space for them! Definitely more than enough to keep me busy for a while! For the most part I’ve gotten pretty much all the models I’m interested in, although eventually I’ll pick up the Sinanju, but only when my source offers it. Welcome to my weekly recap of well, the week. 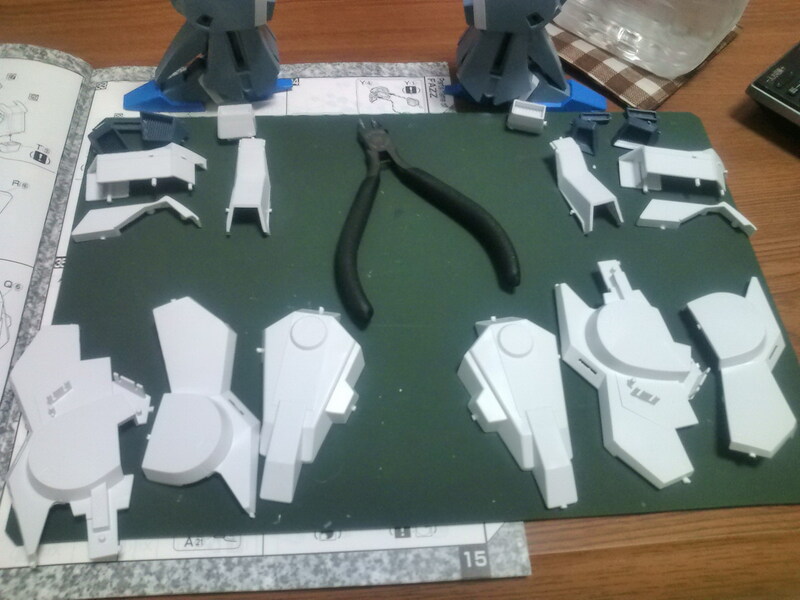 Covering everything from Gunpla to just what’s on my mind. Since I can’t post every day, hopefully this will at least let me cover some of the points of the week. 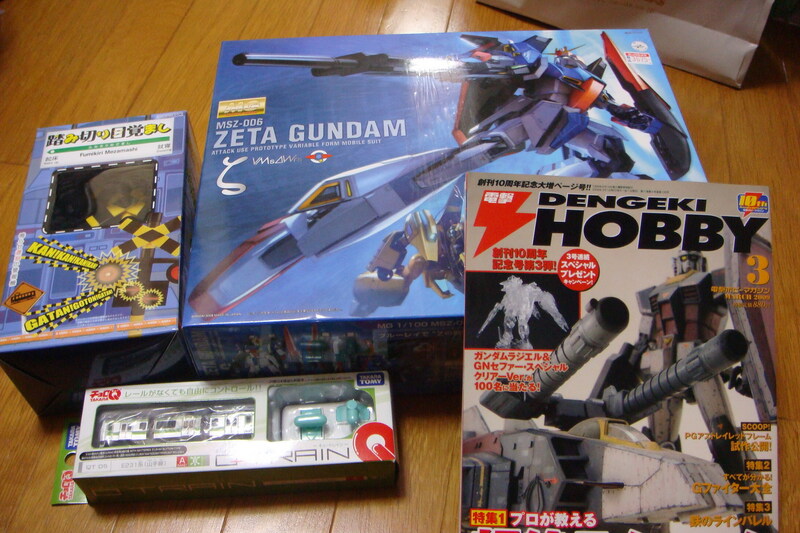 First up, on the Gunpla front, I did end up picking up the new Zeta Gundam HD along with some other things. As you see I picked up the new copy of the Dengeki Hobby, to apply for their 10 year anniversary contest. 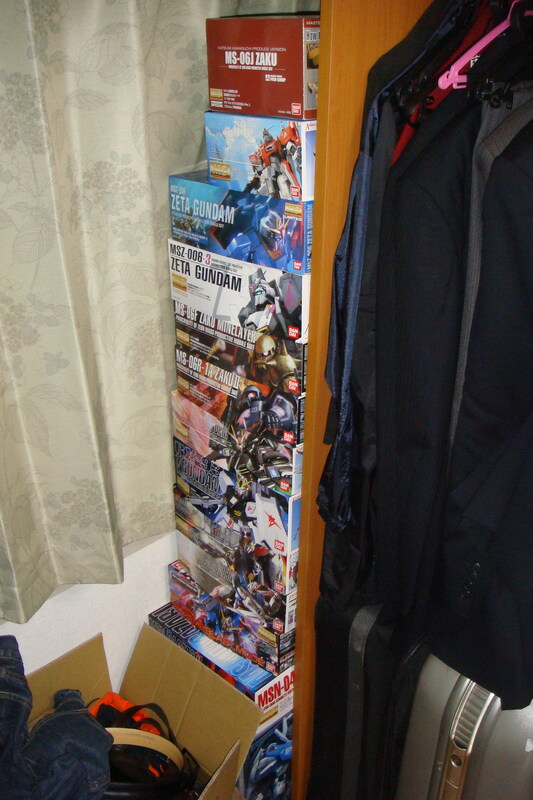 I picked up the last two issues as well (and still haven’t even opened the two Gunpla figures that came with them). Also, I picked up a new alarm clock, which they showed on Mezamashi TV the other day, basically it’s a railroad crossing, but it’s freakin loud, so I’m sure it will wake me up (and as well as the people next door!) Lastly, I found a neat little Choro Q set of the Yamanote line, and picked that up, it’s pretty neat. 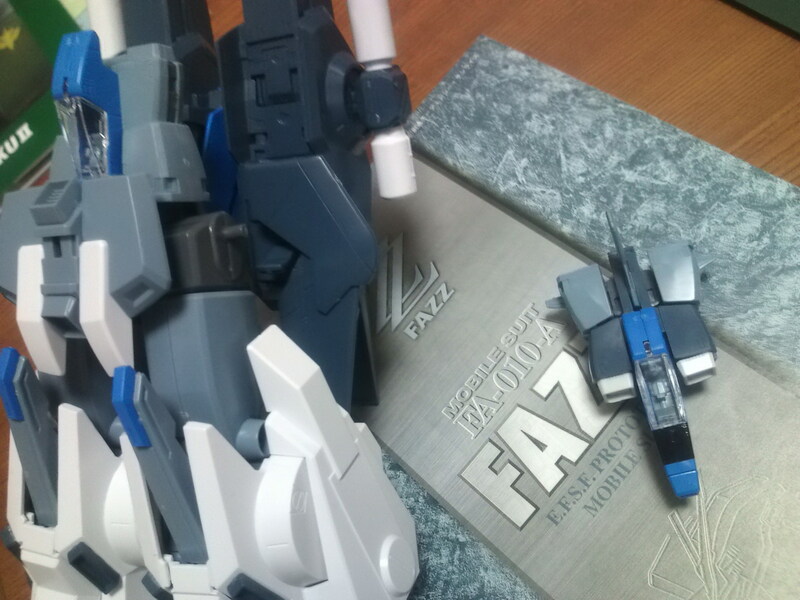 Also, yesterday I finished making the FAZZ, and I have to admit, I was less then impressed with the overall product. While I’ll finish out the contruction posts for the FAZZ, one thing that was frustrating was the suprising amount of left over parts. 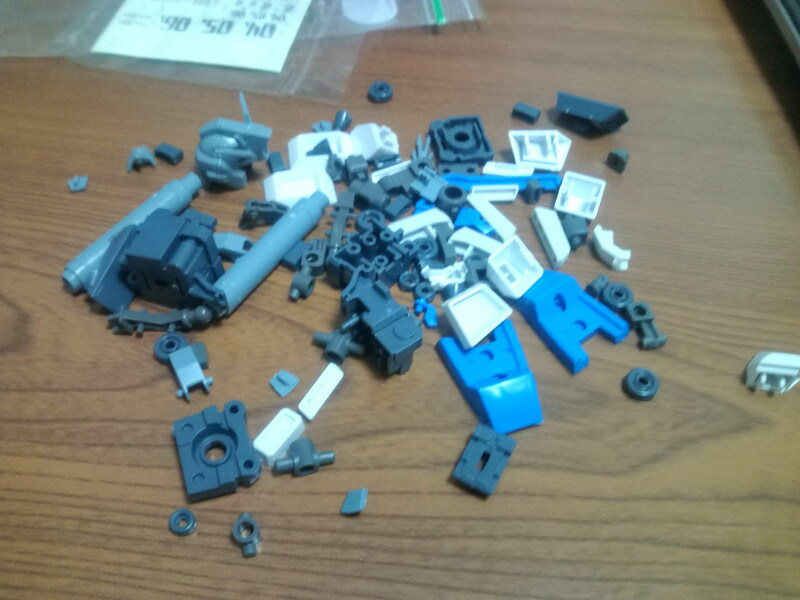 I end up putting my spare parts into a zip lock for each kit, because you never know what I might be able to use them for in the future. 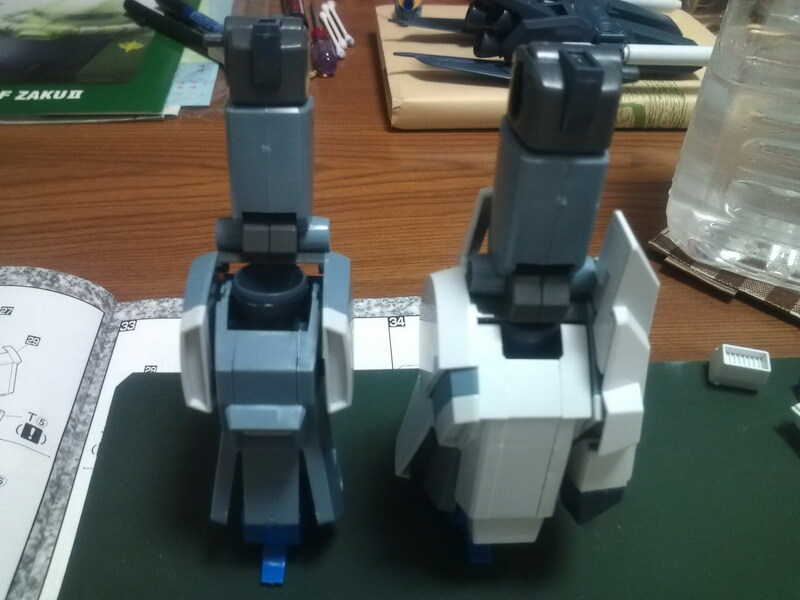 Thanks to FAZZ I’ve now got an extra Gundam head and feet at the least! 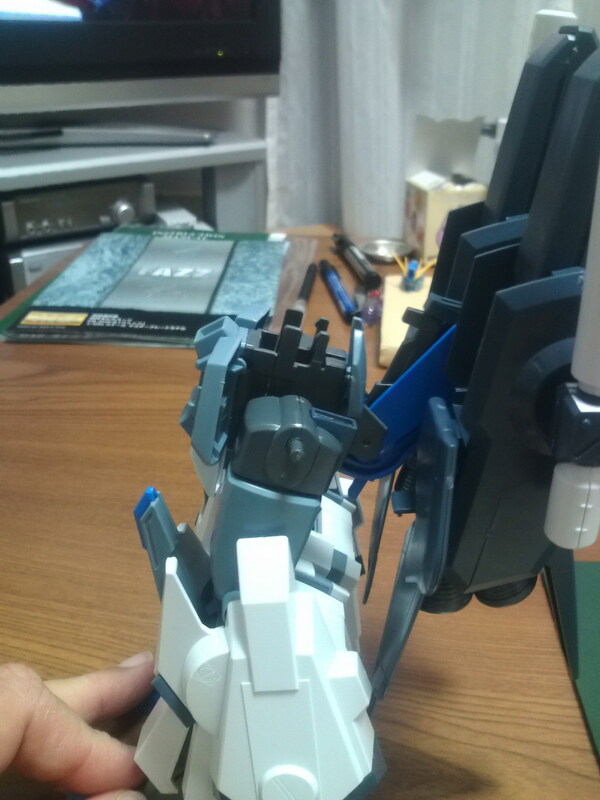 For the time being it’s completed, and I’ve forgone doing the panel lining and seals for the time being. 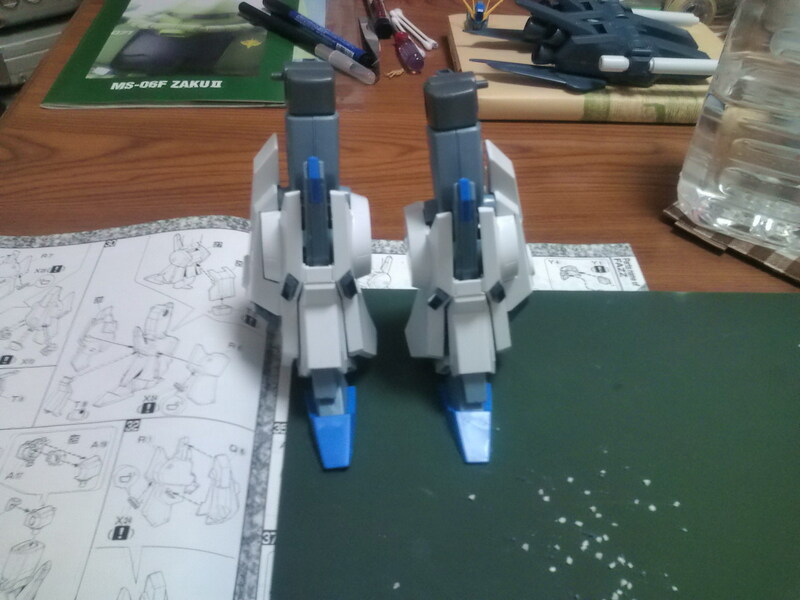 For the time being it’s completed, and I’ve forgone doing the panel lining and seals for the time being. 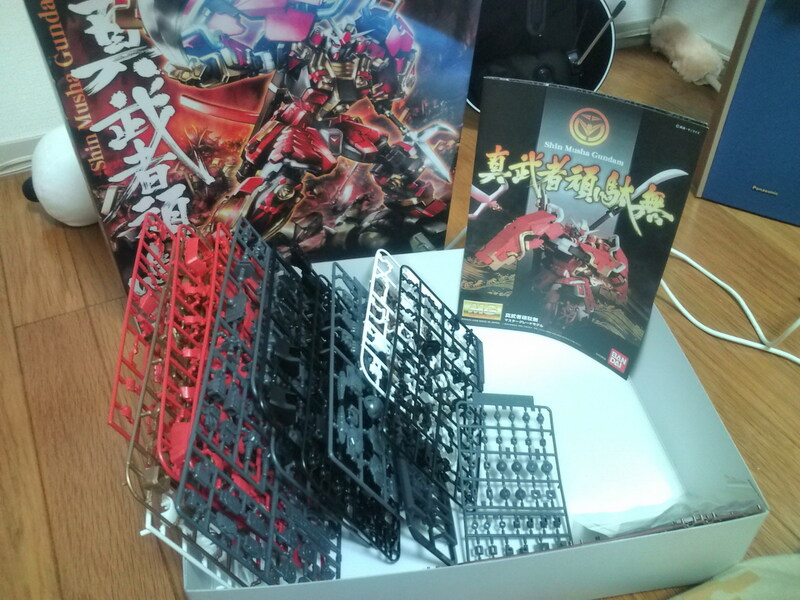 After the frustrations of the FAZZ, I decided to move onto something a little rewarding and started on the Shin Musha Gundam yesterday. 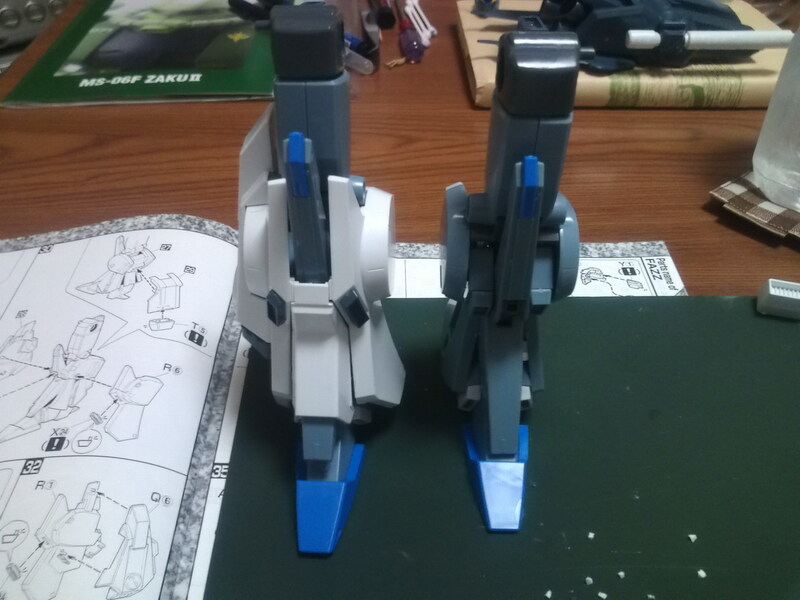 I have to admit it’s a really nice kit so far, and will definitely be doing the panel lining and seals for this one, but more on that when I finish up the FAZZ posts. Anyways, thanks to getting the new HD version today, I now have 3 Zeta units on my back log as you can see below. 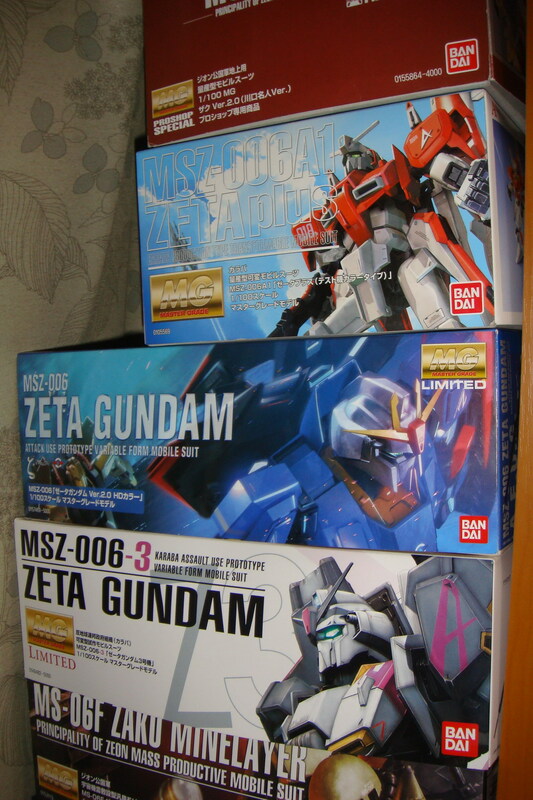 After I finish the Musha Gundam I should probably do one of the Zeta’s… Speaking of back log, I just picked up some more Gunpla from my current source, and those should probably show up tomorrow, will post again when they arrive. But the current stack currently looks like this. Anyways, in non Gunpla topics, I hit Akiba on Friday, but one of the frustrations of going on a weekday after work is that there isn’t much time to look around. 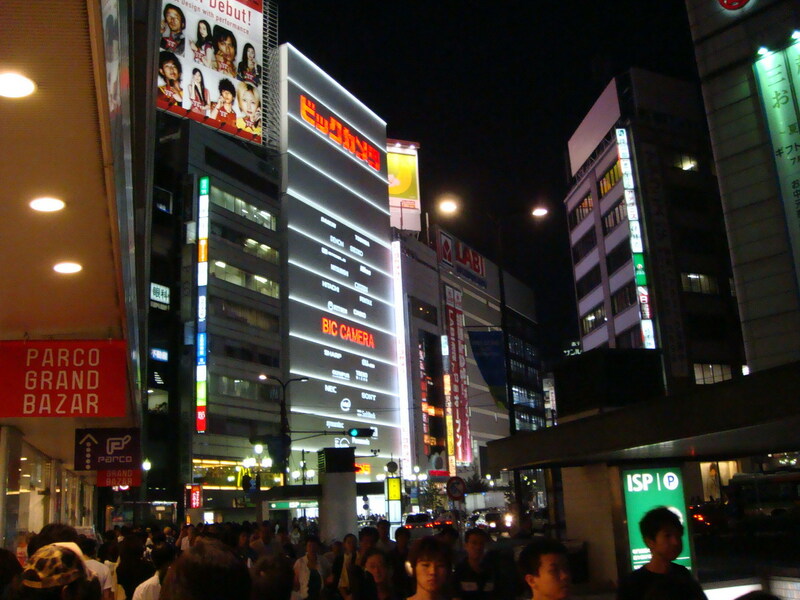 Unlike other parts of Tokyo, such as Shinjuku , Shibuya, Roppongi, and so on, Akiba is a part of Tokyo that closes promptly as 8 for the most part, outside of Yodobashi. 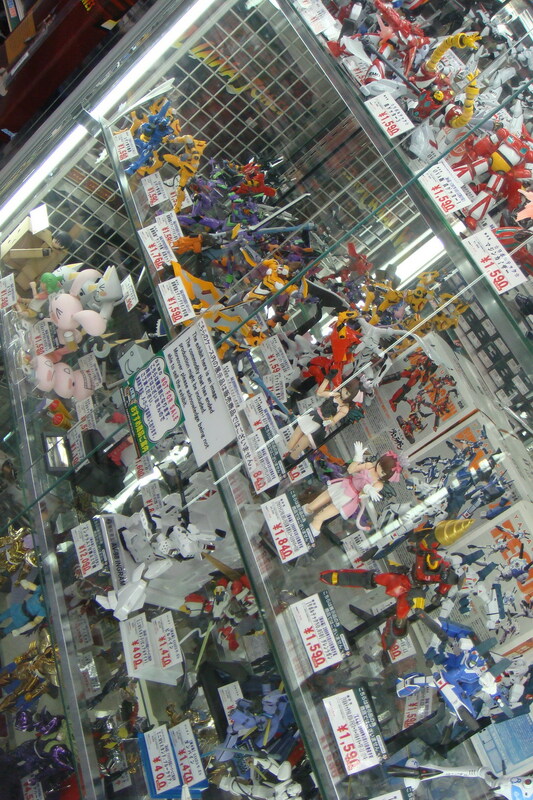 Then again, the only thing I’m really scouting for is cheap figma and gunpla, but Akiba’s pretty much not the place to do that any more. Also, with the fact that maids aren’t allowed to hang out in front of Akiba station due to station renovations, it’s just not the same. In other Japanese news, Japan has been pretty Obama crazy this week, and I have to admit I’m there with them. Despite the worsening economy, I’m hoping that Obama will bring the Change that he has promised. It was worth staying up until 2 AM here in Tokyo to see his speech though. I certainly am looking forward to his visit to Japan (and seeing how they manage to drag him to Obama city in Japan) The growing opinion is that Japan needs someone like Obama to take the lead here, rather than the closeminded politics of the old. The downside is I hope that they keep those god awful comedians that impersonate Obama away from him when he eventually comes to visit. Anyways, this is the idea I’ll be going along with for my Sunday post, so let’s see how it goes. 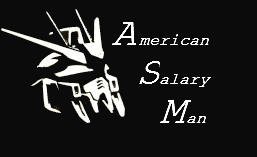 Posted in Gundam, Life, Site news, The State of the Gunpla Union.